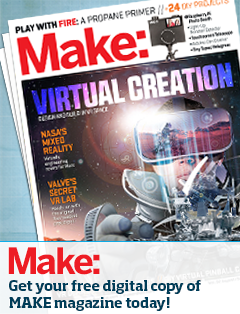 Maker Profile: TweetHausOAK in the House! 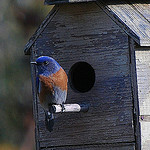 Have you seen a western bluebird flitting about your neighborhood lately? This small thrush nests in pairs and feeds on insects (grasshoppers, termites, beetles, you name it)–a great asset for the home gardener who occasionally does battle with bugs. 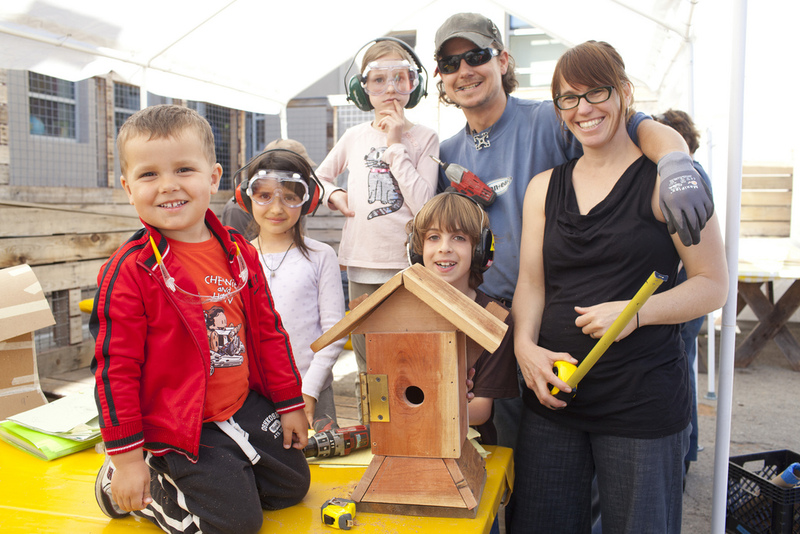 Cue TweethausOAK, a project of the FLUX Foundation that’s working with elementary school students to design, build, and install houses for the western bluebird, encouraging the growth and sustainability of the species in Oakland. I had the pleasure of participating in the final celebration of the pilot Tweethaus project last spring where 17 3rd grade students from Park Day School, the magical cast of characters from the Flux Foundation, and a few supporting cast members ceremoniously planted the birdhouse posts in the soil. After learning about the habitat desires of the western bluebird, the kids worked in teams to create and construct their birdhouses and then place them throughout the surrounding community. 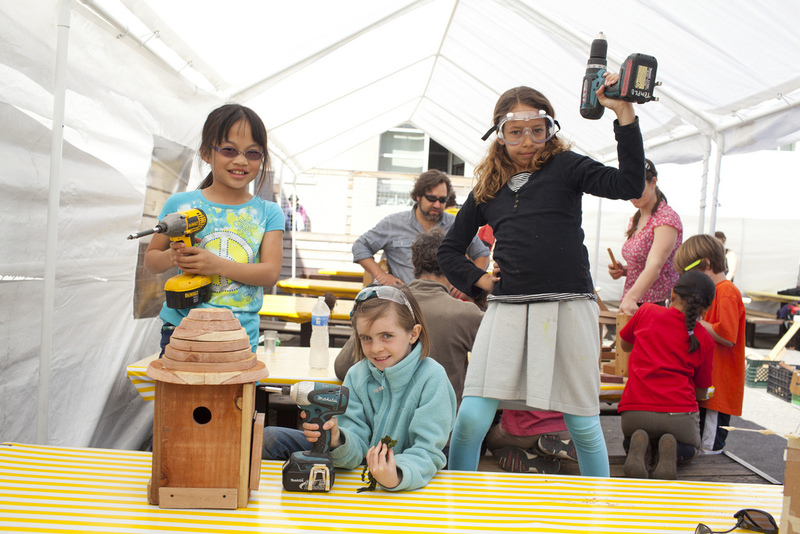 Lucky for all of us, the FLUX Foundation folk will be at this year’s East Bay Mini Maker Faire and you too can contribute to the creation of a full-scale TweetHaus construction. Throughout the day, FLUX will lead workshops where attendees can assemble and reassemble a giant, cardboard playhouse made of light cardboard and magnets. A giant birdhouse puzzle, if you will, where you can help share concepts for future urban bird habitats. Oh, and don’t miss the mobile fire sculptures, and FLUXcycles that will also be part of the FLUX Foundation exhibit at the Mini Maker Faire this year. What, you ask? Right. Check it out.